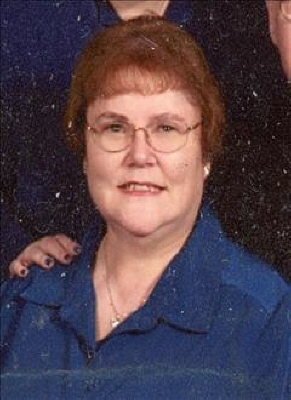 Linda Pruitt, 69 year old Woodward resident, passed away Thursday, April 4, 2019 at the Alliance Health, Midwest City. Funeral services will be held at 2:00 p.m. Monday, April 8, 2019 at the First Baptist Church of Woodward with Reverend Jeff Barros officiating. Burial will follow in the Elmwood Cemetery. Linda Sue (Stimmel) Pruitt was born on January 4, 1950 in Mooreland, Oklahoma to Floyd Dale and Ellen (Bauman) Stimmel. Linda grew up in Mooreland and graduated from Mooreland High School in 1968. She was united in marriage to Larry Glen Pruitt on August 23, 1980 at the First Baptist Church of Woodward. They made their home in Woodward and were blessed with one daughter, Danielle. She worked at TG&Y for a period of time and worked at Figley-Salz Company for over 31 years until her retirement. Linda was a faithful member of the First Baptist Church where she was very active with her Sunday School class. She was always the one to send get well cards and she helped line up funeral dinners for many years. Her church and her faith were very important to her. She loved her church family. She is survived by her husband Larry Pruitt of the home; one daughter Danielle Renee Pruitt of the home; one sister, Margaret Cole and husband Paul of Alva; one brother-in-law James Pruitt and wife Redina of Muskogee; other relatives and many friends. Memorial contributions may be made to the First Baptist Church with the funeral home accepting the contributions. To send flowers or a remembrance gift to the family of Linda Pruitt, please visit our Tribute Store. "Email Address" would like to share the life celebration of Linda Pruitt. Click on the "link" to go to share a favorite memory or leave a condolence message for the family.